Born in 3 BC to a patrician family, Servius Suplicius Galba rose quickly through the military ranks and was widely respected for his abilities as a leader. He held several high level posts, and eventually was named the Imperial Governor of nearer Spain. In response to the grand excesses of Nero, many leaders began to revolt against his authority. One of those was Gaius Julius Vindex, a close ally of Galba's, and the governor of Aquatania. Vindex sought to put Galba forth as a replacement for Nero. Galba hesitated at first, but eventually declared himself the representative of the senate. This put him firmly on the side of Vindex against Nero. One of Galba's main supporters in his quest for the royal purple was the governor of Lusitania, and later his successor as emperor, Otho. Things continued to progress toward the throne until Vindex was defeated in Germany, and forced to commit suicide. Galba's quest slowed after the death of Vindex, but resumed speed when the praetorian guard abandoned their support of Nero, pushing the emperor to suicide. 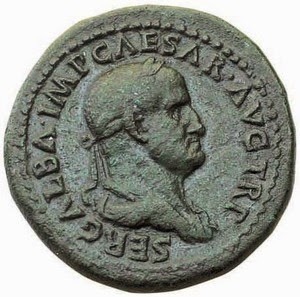 Galba was then proclaimed emperor by the senate, supported by the praetorian guard. The praetorian prefect, Nymphidius Sabinus made great promises of bribes to the guard in Galba's name, hoping to garner their support. But, Galba had no intention to pay for support, and no desire to pay the promised bribes. He replaced Nymphidius as prefect, claiming that he did not need to "buy" soldiers. Needless to say, the soldiers soon lost patience and loyalty to Galba. Soon legions in upper Germany dropped their support of Galba, followed by the legions in lower Germany. In a misguided attempt to show the stability of his reign, Galba adopted a son to show the continuity of his "dynasty". This enraged his supporter, Otho, who had hoped for his own adoption to the line of succession. Otho quickly turned against Galba, and organized a conspiracy against him, which culminated with the murder in the Roman Forum of Galba and his "son", Lucius Calpurnius Piso Licinianus. Their heads were delivered to Otho. 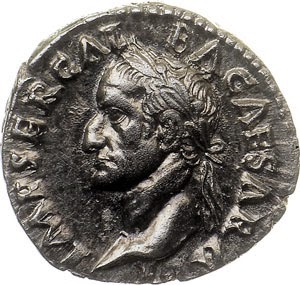 The numismatic legacy of Galba can be found in gold, silver and bronze. 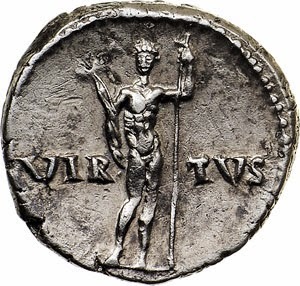 Despite his quick rise and fall from power, a relatively large number of coins were minted in his name. 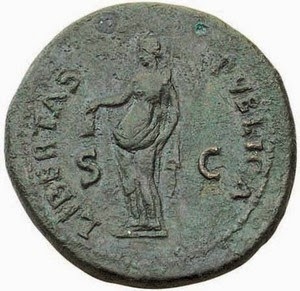 The most numerous bronze issues are those showing a standing Libertas holding a plieus and a rod. 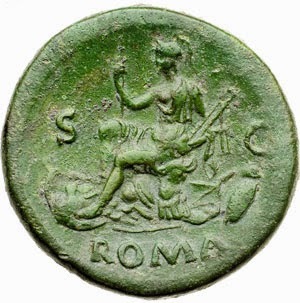 Other bronze issues show a seated Roma, some holding Victory in her hand. 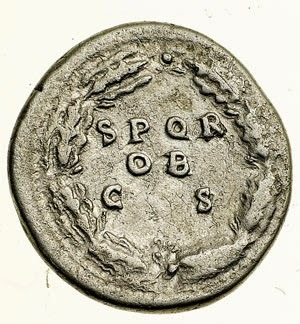 Reverses on denarius coinage often show SPQR notation. Portraiture on Galba's coinage is outstanding. The artistic standard set during Nero's reign maintained its force and produced strong imagery. Auguri di Buon Natale con Antiquities 3!